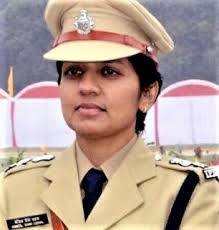 Manzil Saini also known by the name of ‘Lady Singham‘ became the first Women Police Chief of Lucknow. 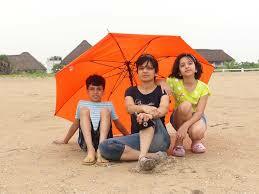 She is married to Mr. Jaspal Dehal and blessed with a daughter and a son. She is an inspiration and a role model for all the mothers. 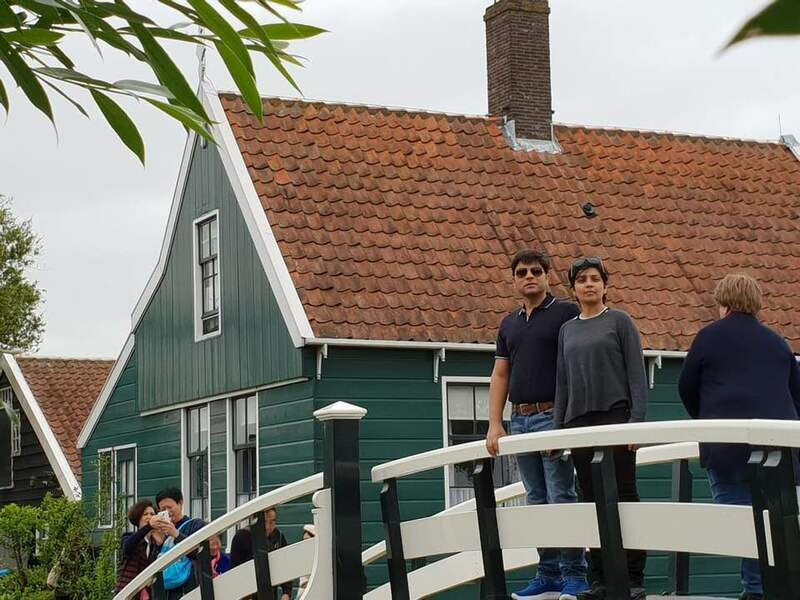 Manzil Saini got married in 2000 and after five years of her marriage, she became an IPS officer. Her astounding profile as an IPS officer made us curious to know about her motherhood journey. 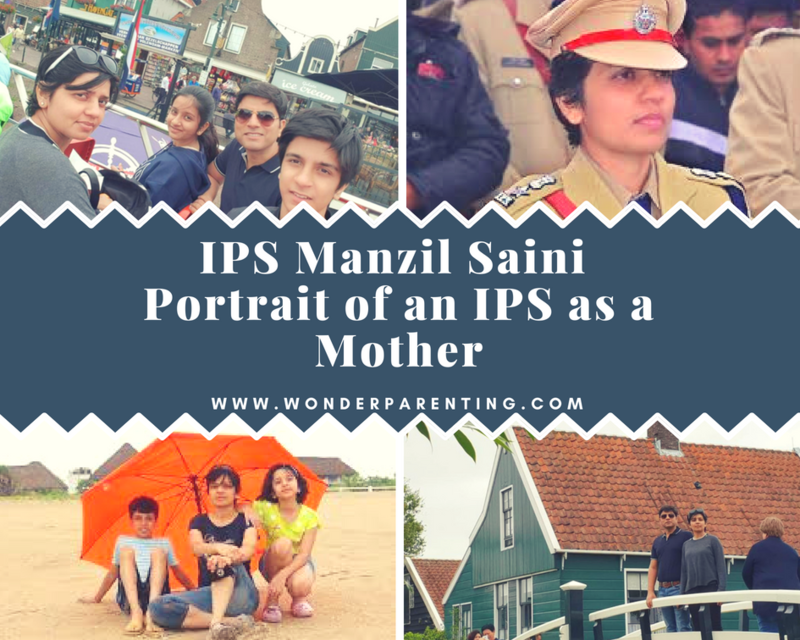 As we all know how difficult it is to balance work and family, IPS Manzil Saini has done a wonderful upbringing of her children with the immense support of her family members. She is so generous to take out time of her busy schedule and gave a remarkable interview to Wonder Parenting! 1. Our readers want to know why their children should pursue Civil Services as their career? As a profession it ensures success, social status and an opportunity to serve the humanity…..all Maslow’s top hierarchical needs are satisfied. 2. At what age should a student start preparing for civil services? Minimum entry-level age is 21 yrs. So, I would suggest starting during the final year of graduation. 3. When and how did you get introduced to civil services? At the age of 25 years, through family, friends, college and role models later on. 4. Why are people so crazy about IAS and IPS? It gives you a challenge and test your wits out first at the preparation level and later during your long service tenures. It gives an opportunity to work in the top echelons of the government and steer the future of the country. 5. Is it necessary to take coaching for preparation? Not exactly but it’s important as one gets a lot of support by interacting with experienced faculty and other students. 6. What points should be kept in mind while selecting the study material and coaching center? Choose the best and institutes which have delivered. Please avoid commercial shops sprawling all around in the name of coaching. 7. 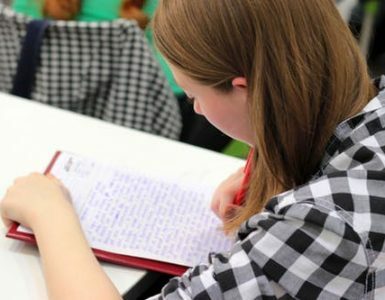 Is it easy for humanities stream students to crack the exam in one go? Should students of other streams opt for civil services? It’s open to one and all on an equal footing as you have to master all the subjects. 8. How far newspaper reading and news channels help in the preparation? A must – as this exam tests the knowledge and analytical thinking on current issues but please restrict to few and selective ones as these days channels are over flooded. 9. How many hours a week you used to spend for preparation? 8 to 10 hours in a day with no weekend breaks! 10. What are the strengths you think have helped you to get success? A strong academic background, hard work, and positive thinking. 11. Many people start this career and discontinue after some time. What do you think is the most difficult aspect of this journey? Those who leave are very few in numbers, reasons can be multiple. Yes, one has to be mentally strong, ready to face challenges and should have a sense of commitment to serve the people even at the cost of your own discomfort. 12. Did you face any obstacles? Please share with us about any mistakes you did while preparing for the exams. I cleared in one attempt only though I started preparing very late after my PG. 13. Share your most memorable moment of this journey. My interview part was really interesting as I was asked the meaning of my name and I think my answer impressed the entire Board. 14. Would you like your children to pursue their career in civil services? I have kept it open for them. We can only guide as parents. 15. How motherhood changed you as a person? Remarkably, as a mother one has to be very adjusting, patient and caring. 16. Any particular qualities you want your children to inherit from you? Belief and self-confidence in oneself. 17. Are you a strict disciplinarian? Yes, to an extent and that’s the demand of my profession also. 18. Your favorite activities with your little ones? Watching a movie like Harry Potter or teaching them literature. 19. How about introducing kids to family traditions? A must as long as traditions are adding value to their growth n conduct. 20. What is a strict no-no for your children? Mobiles and the internet for anything except studies. 21. 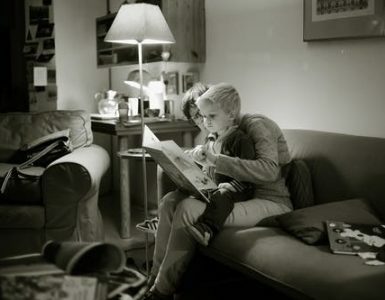 What is your biggest challenge as a mother? The balance between grooming children and meeting the demands of my policing profession. 22. Message by a mother for all Wonder Parents! Wonder Parenting is a wonderful and novel concept, quintessential in handling the tech-savvy and smart kiddos and the younger generation. My best wishes to all the beautiful Wonder Parents in their endeavors.